Did you ever have Funfetti cake? I mean seriously…what is better than a Funfetti Cake with Funfetti frosting? This was my go-to in college, and I think I could eat a whole cake by myself! Funfetti cake is THAT good. Tech Tidbits are kind of like Funfetti, little sweet sprinkles that make something already good, even better…and even more colorful! This week, I’m focusing on some tech tidbits – pieces of Funfetti to brighten your day! Adobe Spark – on your PHONE! I mentioned Adobe Spark and our EDU Enterprise account in a past post. This is such an awesome platform that I need to mention it again. It is FREE FOR SCHOOLS (premium version) and it allows you to do so much. The app on my phone allowed me to easily drop in photos and videos. Then I could access it on my computer and manipulate the slides. Take a look below at Sherri’s AWESOME math class that I was able to use footage from to create a Spark Video! The Spark Webpage option is also AMAZING! Check it out here, this is an Adobe Spark Webpage explaining Adobe Spark! Reach out if you want to use this tool! Talk about EXTRA sprinkles… There are two HUGE updates coming (among others) to our favorite Google Apps. First, Gmail will have a “schedule send” feature AND Slides is FINALLY getting the ability to have sound files running throughout the presentation WITHOUT a workaround!!! These updates will roll out over the next two weeks so check for them and expect to see a video from me on how to use these awesome new updates! Oh HELLO, YES!! 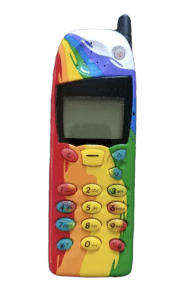 Remember your very first Cell Phone Game, on your awesome Nokia with the cool custom cover and colorful buttons? I had a bright unicorn cover ( I know you’re shocked by this, right?). Well, Google just released Snake BUT with a geography focus. You can capture various landmarks all over the world! Just a little piece of Funfetti! This video is POWERFUL! Thank you Amy Schleinkofer for sharing! This is a good watch for both teachers and students. Have you heard of #PositiveSignThursday? It’s a REAL thing created by another teacher, in another state, but it’s spreading across Massachusetts! Check out the # on Twitter! A few of us have been doing it here! The idea is we all use the same sign. On Thursdays, we post the sign and pictures with our kids and each other! It adds a little sunshine and spreads a positive message. Check out my friend Marty, now principal in Norton and his news story about Positive Sign Thursday here. See Megan McGovern’s posts (using Adobe Spark) below on Positive Sign Thursday here in EB!!! If you want to join us click here! Simply look at the date of the sign in the speaker notes, print, take a pic, and post with the #PositiveSignThursday! What’s your “Funfetti”? Reach out! Are you looking to engage students, and express learning, all in one activity? How about trying this site. 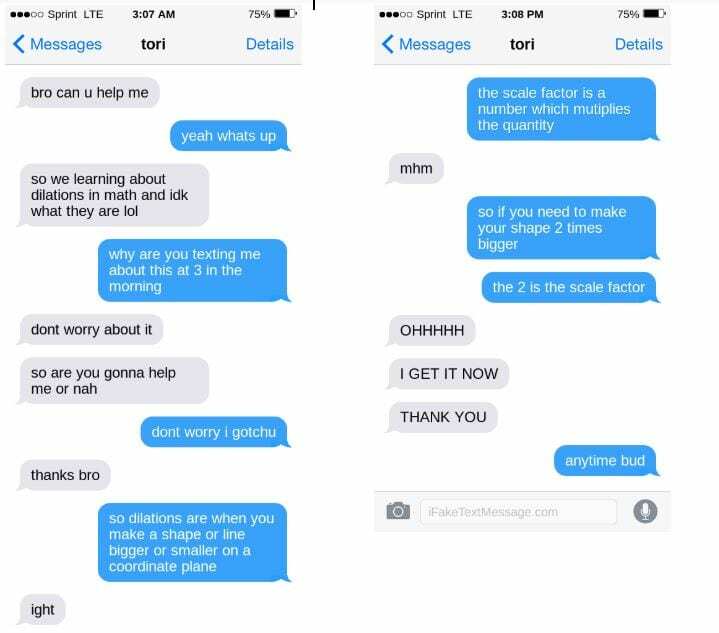 It allows students to create a “Fake” text conversation. This would be one way for students to “show what they know” in a different way. This site even allows students to alter the carrier, battery setting, bubble color, etc. Students in Sheri Craven’s room REALLY enjoyed this engaging option to show math!! Thanks for the tip, Sheri! Thank you 7th-grade team! I was in 7th grade common planning time and they shared this great resource with me! LearnZillion is a FREE platform with thousands of great mini-lesson videos focused on Math and ELA! The videos are short but effective AND you can search by topic. 7th grade ELA really likes the argumentative writing mini-lesson for their students! Check out this great resource here! Have you ever wanted to have students post their work so others can see it, like a “discussion board” ? Well, take a look below! The ask a question feature CAN work like a discussion board where students post their work, a reflection and have the ability for others to review and comment on their work. 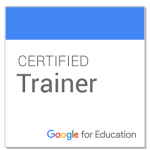 EdTechTeam and Google put out a great new database this week! You choose the challenge area, and in that area, there are tips, tools, and sites to assist you! You can leave feedback too and see others’ comments and suggestions. You can see the challenge areas below and you can access the site by clicking here. Google Sheets recently had an awesome update, making it even easier to insert images into this great Google App! See the video below! If you have a tool that will help lessen the load, please share! I hope you have a GREAT entrance into April! How’s it going? Having a good week? I hope you are! It’s a great day to have a great day! Something that makes me smile, and allows me to have a great day, is having fun with images. Whether it’s Bitmoji, Giphy, or Google Draw I always enjoy manipulating images for various items I’m working on. I also LOVE showing students and teachers how to have fun with images! There are so many great ways to express knowledge – a picture or series of pictures in a presentation is a fabulous option! We can do so much with images – let’s check out a few ideas below! Adobe Spark is an AWESOME program that allows one to create a variety of digital media. Like many programs, it has a free and premium structure; but did you know that Adobe gives FREE Premium accounts to schools? Recently, we signed up for it here in East Bridgewater – we even have single-sign-on! Adobe has many preloaded images that are copyright free, or you can use your own to create a multimedia presentation or infographic. Here are two student examples of the presentation option below (and one teacher example – mine) that showcase how it can be used. This great tool is very user-friendly! Check it out today! **Note these student examples are still being worked on. This was a great post by Eric Curts of the blog Control Alt Achieve. He showcases 3 FREE picture editing tools. I really enjoyed RemoveBG. It allows you to remove a background from a picture. I used a picture of my family, but you could remove the background from any image. Then it allows you to have the image as a PNG (no white around it) for your files. I had fun playing with this tool! A NEAT trick with Slides! This trick is better to explain in a video! It involves setting an image as a background and using transparent shapes to make it interactive. Take a look below. Do you like animated GIFs and Stickers? I certainly do! Giphy is an AWESOME database full of copyright free GIFs and stickers. These are so much fun to use in Google Slide presentation, on a doc, in an email or just about anywhere! This great tip comes from Dana Goldstein, Mitchell School 4th grade teacher, who wanted to print a Google Doc assignment from her whole team! She was able to use PDFMergy and combine all 55 documents into one PDF for easy printing (rather than go through all of them individually to print). Check it out below! Do you want to have some fun with images? Need help? Reach out! I hope you have a GREAT day! Hello Hello! How are you doing? I have had quite the past two weeks! Lately, I’ve needed help and I’m lucky enough to have the support system checking in on me when I needed it. My family and I had a HORRID bug sweep through our house and it took the better part of two weeks to really clear it out. Needless to say, my blog did not go out last week since I had the bug too and it really knocked me down for about four days. It reminded me, though, that we can all use a little help sometimes. It doesn’t make us weak to ask for help, in fact, it makes us stronger. In my case, I really needed help to get stronger for my own well-being. This week, I had the awesome opportunity to help a few teachers with some fabulous lessons! I sat with Amy Ronayne and had some great conversations and set up of Pineapple charts! She had a super idea and I was happy to help. Sue O’Hea and Meg McGovern really wanted to have some fun with Functions and asked for my help with Flipgrid! 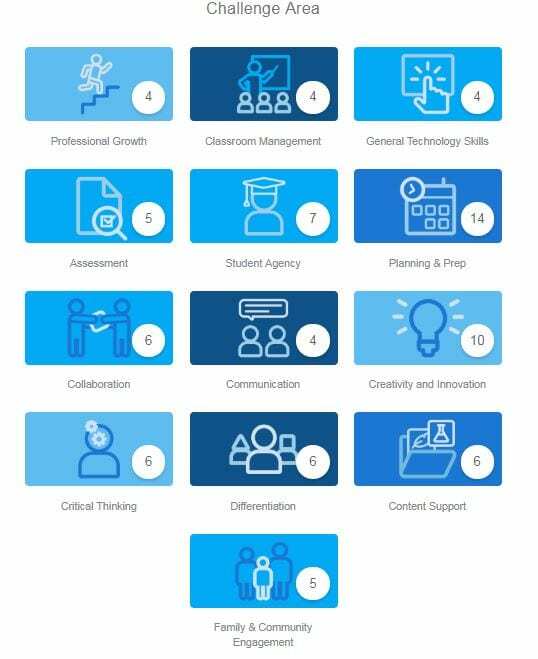 Wow, did we have fun filming our “teams.” Lastly, my pal Stacy Linnehan helped me by showing me ClassroomQ (see below) and asked for my help with Adobe Spark for a lesson next week. This prompted me to take a look (again) at it this awesome tool. I’ve always enjoyed Adobe, but hadn’t yet explored the FREE Adobe Spark for Edu program. Did you know about this? Abobe Spark for EDU with some premium features is FREE for schools. This led to me asking for help from our tech coordinator to set up Adobe Admin on the back end of the server so we can get Adobe for Edu! Check my blog next week for the awesome work we’re doing with Adobe Spark and THANK YOU to all of those who both ask and offer help #TogetherWeAreBetter . Let’s take a look at some of the help I was offered, and was able to give, using tech tools this week! What a fun time I had with Sue O’Hea and Meg McGovern’s class this week making function videos for math class! We used Flipgrid to post the videos. For my group, we also used Screencastify and Adobe Spark to make the video. Flipgrid is such a great tool – and you can do so very much with it. Click here and here for instructional videos (in that order) on Flipgrid that I’ve posted in the past, and see below for our example on Functions! 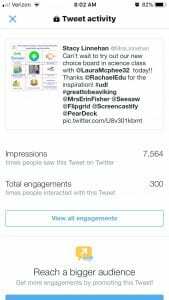 It’s pretty amazing when you see two awesome colleagues collaborating through Twitter to talk about teaching. Recently, Amy Ronayne became a Wakelet ambassador (Go Amy!) and Stacy Linnehan made a really cool Wake on Pineapple Charts (Go Stacy!). So, knowing Amy is an ambassador, Stacy shared it with Amy. Amy then booked me to put Pineapple Charts into action! Together, we came up with app smashing Google Calendar and YouCanBookMe.com – this is a work in progress, but it’s going to be pretty cool when it comes to fruition! We also added Google Forms with Autocrat to generate positive teacher feedback! MAGIC! Do you teach with small groups or facilitate learning around the room? Do you have a “deli counter” system or line at your desk? Well – if you do, ClassroomQ is an AMAZING tool for you. 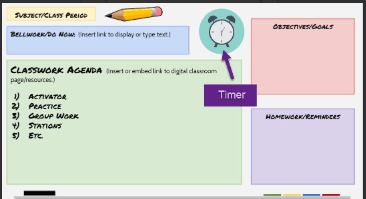 It’s SUPER easy and a tool recommended to me by Stacy Linnehan who used it in Stacy Cullinane’s room during a writing lesson. Students, once they were ready for conferencing, simply clicked their bookmark for ClassroomQ and got a “ticket.” The computer dings alerting the teacher, and her screen shows who is waiting. On the student end, it shows where they are in line in the queue. The free account allows for five tickets at a time. Simply clear the screen, and the 5 starts again. We don’t really want more than 5 students waiting at a time anyway, right? This now encourages better use of time for students, rather than sitting and waiting with a hand raised, or in a line at the desk. Once set up, it’s easy to launch. Take a look at the short video below which shows how it works as teacher and student. This week, I enabled Confidential Mode for Gmail in our Google Admin Panel. This is one way Google is helping us to protect our information. Let users choose to remove access early before the expiration date. Note: Although confidential mode helps prevent the recipients from accidentally sharing your email, it doesn’t prevent recipients from taking screenshots or photos of your messages or attachments. Recipients who have malicious programs on their computer may still be able to copy or download your messages or attachments. How are you asking for help to be the best you can be? How are you helping others to be their best? I ask myself this every day. Be well everyone, and I’m here if you need any help <3 You can book me here. We are MARCHING closer to Spring, even if March is coming in like a Lion 🦁! The first of March and snow is predicted, can you believe it? Just like the weather, technology is also offering us a storm of new ideas! There are so many tools, tips, and tidbits – that it can be tough to keep it all together (Like that alliteration there?)! Fear not…that’s why my blog is here! Take a look below at some of my finds this week. I think they are totally top notch and many come from awesome teachers you know! Thank you Amy Ronayne, 8th grade ELA teacher, for showing me this! If you don’t have a home screen set, you may want to have this as your opening tab. No login, FREE TOOL, and look at the screenshot below for all the little tools it gives you. A whiteboard to draw on (smart users), a clock, timer with fun sounds like Mario theme song, noise monitor, traffic light, and MORE! You can also set cool moving backgrounds from their library. This is SUCH A GOOD FIND! Click here to check it out! March is a BIG month for tournaments and there’s quite a bit of madness involved. If you’re looking for a GREAT site with already-made, interactive templates, Flippity.Net is a wonderful tool! It has a Template that is EASY to use for tournaments! Check out the video below! Thank you Cassie Wadden for showing me this COOL site below that has a neat Jeopardy-style game among other features. Although this site does have a fee structure, it does have some pretty neat free components if you’re looking for something game-like, or for review. Have you heard of Interactive Fiction? I had not until Amy Schleinkofer gave me a call following her public library visit over the February break! 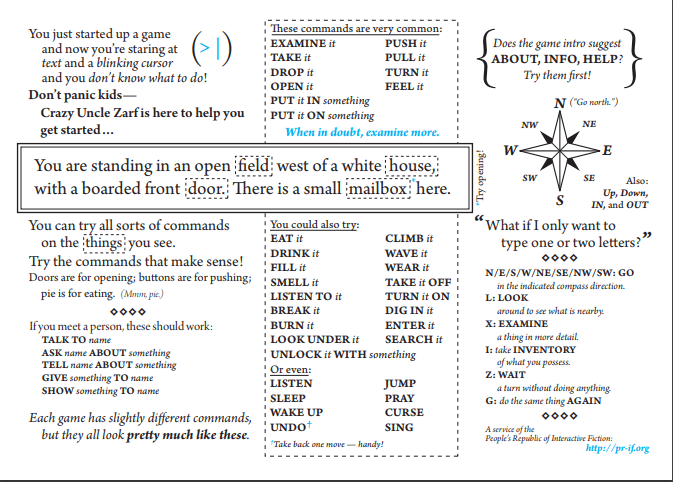 According to Wikipedia: “Interactive fiction, often abbreviated IF, is software simulating environments in which players use text commands to control characters and influence the environment.” She tried it whole class with her students and they LOVED it. It’s similar to coding…what a GREAT activity! 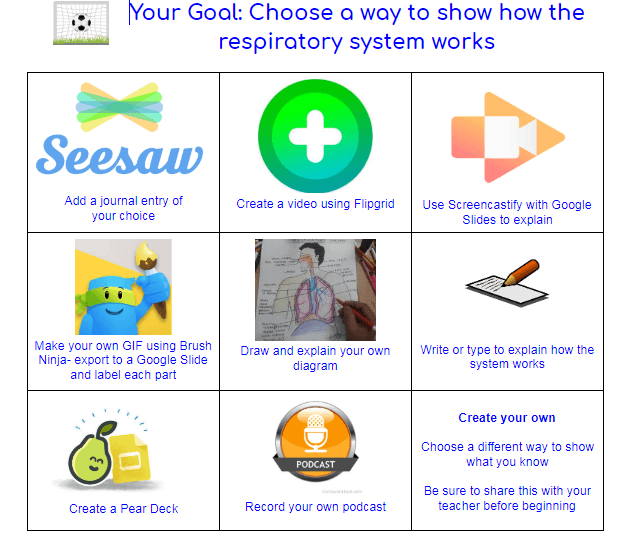 This resource is an AWESOME creation by Laura Cahill, fellow Massachusetts Edtech Coach. She made a beautiful template, complete with a timer linked, to use as your initial screen as kids walk in. Simply duplicate the slide everyday for your whole year of Agendas. It includes an objective space, homework, classroom, subject, and bellringer box. You can also modify it! I made a copy for myself and added it to our own Template Gallery for East Bridgewater! For this great template Click Here! Classroom has had a few updates as of late. You can read about them here or see a short video below. The Stream and the settings have recently changed. Remember how the Stream used to appear – well it’s back (sort of)!!! I hope you’re finding success with technology tools! Reach out and let me know! Happy February Everyone! I am so happy to be entering this lovely month and FINALLY be out of long, cold, January! Since I just LOVE tech so much, I figured I would fill the blog this week with some techy stuff I love. The first thing I love – with Tech – is Google and all of their innovation! This week, on Tuesday, Google released a pretty hot extension: Password CheckUp. This amazing little extension, made by Google, will let you know if your password has been breached. Pretty innovative right? Read more about this amazing little nugget here, and install the extension from the Chrome Web Store here. More than anything, I enjoy playing with all of the little things that you can do with Google Apps. Fonts, tables, colors, add-ons, etc. its just so much fun! Recently, I was playing around with transparency and auto shapes. Check it out below, it’s a BLAST. Are you looking for another option for student expression? This past week I was worked with Sarah Trainor and Kerri Trumbull, respectively. Sarah showed me a tool that I hadn’t seen before, Kidzoa! Kerri and I through our work discovered Flipsnack together. Check out both of these great tools below – you may find them to be a great option for student expression! Kizoa is a really cool, free, easy video making service! It was brought to my attention on Sarah Trainor’s Zombie Choice Board this week. Check out this neat activity, I’m sure the kids will be engaged! Her students LOVED it! Flipsnack is a REALLY neat, free, site that allows you to make brochures, flyers, and books that are 3d, meaning you have virtually turning pages. This would be really cool for a brochure of some sort or flipbook. You get 3 free products before the pay structure kicks in, BUT, you can delete a project and make another. Eric Curts is my NUMBER ONE all-time favorite Tech Blogger. He always puts out the most awesome ideas AND he encourages you to use them, share them, manipulate them and tweet them. He’s so very collaborative and really believes in the “together we are better” mentality, which is huge for me. This week, in his own blog, he shared some Valentine’s day tech and also sent the link to ETCH-A-SKETCH! YES!!! Virtual Etch a Sketch – HOW FUN! Want an even quicker way to search your Drive? check it out below! What kind of tech do you just LOVE? Let me know! What do we do about apathy? There are so many obstacles when it comes to teaching, so many hills and valleys, but what do we do about the student or adult who just does not care? Don’t try and fix something you love – but look at what doesn’t work. 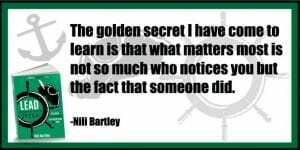 We all have to try and close the gaps between our achievers and those who are not reaching learning targets. If we want to believe every child can learn, we should not be proactively taking them out of the game and expecting them to do something else. We need to find ways for them to successfully access the curriculum. We need to give all of our students a voice. Do you have students apathetic to learning? Engagement is key in decreasing student apathy. Offering students choice increases access to a goal and can also provide engagement. As educators, we cannot assume that our preferences as teachers are their preferences as learners. We may think a lecture is best, taking notes is best, showing a video is best, technology is best, but this may not be what works for every learner in front of us. Data doesn’t lie, and if we have gaps in our data between those achieving and those who are not, then what we’re choosing may not be what is working. Google Forms are a great tool for assessment, but they are also a great survey tool as well. They can really assist us as educators in learning our students’ preferences as learners. 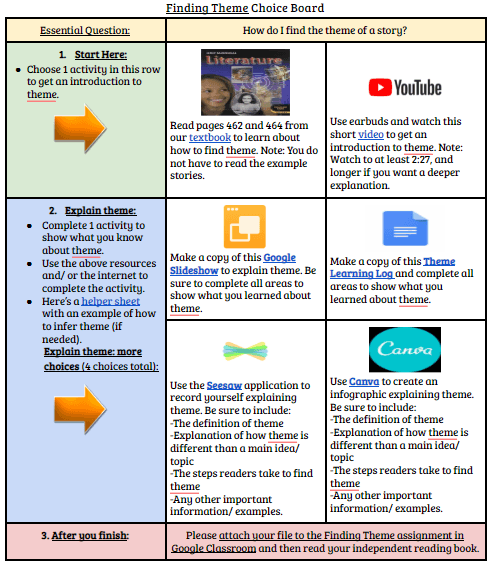 This is a great post by Catlin Tucker on using Google Forms to get to know our students. If we can gather information on our students’ likes and dislikes it can help us be more effective as educators. Catlin even provides a FREE Google Form you can use to get to know your students. OMG, have you tried Anchor? WOW this podcasting app, and web tool, incredible!!! It is also FREE! Thank you to Brandon Hall, tech integrator from Pembroke, for walking me through this awesome tool. Podcasting has exploded on the scene with both students and adults listening to Podcasts and creating podcasts! There’s a podcast for everyone really. You can find a series on sports, education, mystery etc Many of your favorite TV personalities even have a podcast. So, how does this apply to the classroom – let’s have kids MAKE a podcast and cast their voice! What an incredible way for a student to show learning, and the best part, you could listen to it on your drive home, or while correcting papers. Reach out if you would like to start Podcasting with your students! Check out this great Google Slidedeck here on how this can be used in the classroom and Brandon’s overview of Anchor below! This is a great article on how to use Podcasts in education. Our own Tori Cameron has a popular podcast channel on all things STEAM that you can listen too as well, and she is the guru when it comes to podcasting! Student video is also a great way to allow students to cast their voice! It is also another great way students can showcase their learning. Flipgrid, SeeSaw, and Screencastify are all wonderful tools that allow students to create video easily to showcase knowledge. You could use Wakelet to put all student video in one place! Wakelet now integrates with both Flipgrid and Screencastify and would provide a great curation example of student video! As a teacher, you can also create video and flip your classroom. Check out the video below from Bill Silva, East Bridgewater Biology Teacher, that he uses with students. Recently, Microsoft unveiled their new translator app. This app is incredible and is available across all platforms. I was playing with it the other day, thanks to my pal Colleen Terrill, and it has many more features than my previous fav – Google Translate. This article here describes the features and functionality of the app. If you are traveling to a country where you cannot speak the language, or have EL students you wish to communicate with, give this app a go and provide voice to your student! Did you know your Google Account can be associated with a phone number? You can then link that number to your actual number on your mobile phone. You can also use Google Voice as an app and on the web. This would be useful if you wanted to text students or parents, but didn’t want to give out your personal number and did not want to pay for an additional number or phone. Click here for an article from another Tech Blogger on his top reasons he uses Google Voice in the classroom! How will you give your students a VOICE and let them be heard? In my position, in East Bridgewater, I am alone. There is only one Technology Integration Facilitator, and I’m it. I would say I feel more alone than most being the only one, but I don’t think that’s true. Often, as teachers, we don’t get past our classroom walls or out of our own hallways during our teaching day. At one time the copy room is where we would chat, but with increased technology, the line at the copy machine has significantly decreased. Our time is valuable and I see teachers choosing to eat in their classrooms and use their valuable minutes to get things done, rather than chat and eat together. Teaching can be isolating, so how can we connect? We truly are better, together…and two minds are better than one, but where and when do we find the time? Twitter Chats are AMAZING! There are many chats in education happening every week. ISTE has a list of some of the top Twitter Chats for educators that are national. You can see that list here. I find that I like more local Twitter Chats and I usually find those by following @MassCUE. You don’t have to be a member of a group to participate in the Twitter Chat. For instance, Massachusetts Administrators have a regular Twitter Chat and they welcome anyone who wants to participate. The questions usually center around leadership topics. In addition to having a great discussion on a Twitter Chat, it is also a way to network with other educators and administrators around the state. 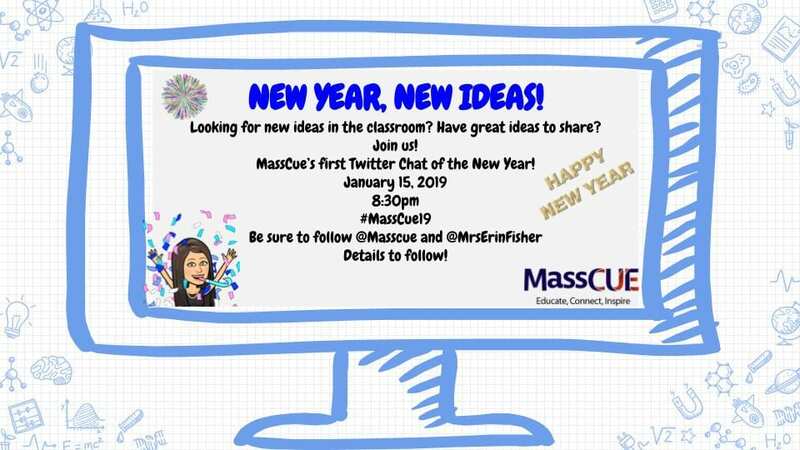 Recently, we had a MassCUE Twitter chat that focused on NEW IDEAS. I was able to use Wakelet to record the chat. Take a look at the chat here and you can get an idea of how a Twitter Chat runs, you may also find some new ideas! Take a look at one of the Q & A’s below. Please reach out if you would like to find a Twitter Chat to try, I will gladly help you! Sometimes, email is the way to connect. Recently, I emailed colleagues and asked for their great ideas. I’ve started putting together a curation document of all of the learning menus various teachers have sent me. Have a good one and want to include it? Send it my way. Check out this Doc of all-stars in our own district and the learning menus they’ve created! Eric Curts (who tweeted me this week, OMG, I am such a Fan Girl!) posted this great article on Tech for K-2. Wendy Dameron sent me this AWESOME resource as an alternative to Remind and it even TRANSLATES for you! 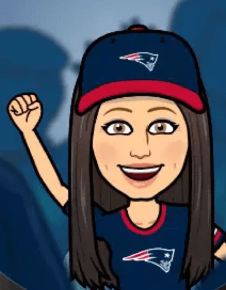 A pal from my MassCue committee group and awesome tech director Jen Judkins sent me this cool resource by Tony Vincent on YouTube – it shows how to translate videos, get the transcriptions, blur faces – it’s NEAT! Do you have something cool to share? Send it my way and I’ll happily put it out there! I hope you have a moment to connect with those you love this weekend and please always feel free to connect with me, reach out! You are not alone! Wow! It is the first five day work week of the new year and boy am I energized!! So much good stuff happening everywhere! This week I’d like to feature a few awesome teachers, and also a few awesome tools, that all center around digital creation. When I see students creating, I see engagement! Students are working, sometimes together and sometimes alone, on a common objective. They may all be using the same tool, or have a choice of different tools, but they are problem-solving and synthesizing information to present a product that demonstrates mastery of a concept. When I’ve been in rooms where students are creating, I notice not a single student is off task. Every student, even if talking, is concentrated on creating the product. Now, this may be because the tool or the content is engaging. AS we know, the first step is engagment…that hook! 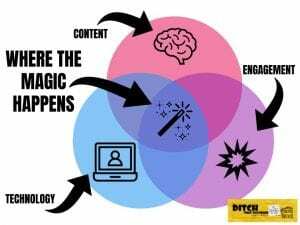 Once we combine the tech tool, with engagement and content….BOOM! It’s where the magic happens and it’s amazing to see! Let’s take a look at these engaging tools, and teachers, below! This is an AMAZING tool for student and/or teacher creation! 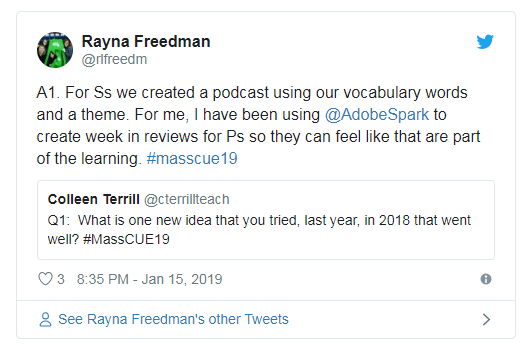 It was suggested to me by my good friend Colleen Terrill, Instructional Technology director of Mashpee after her students had such success with it! Take a look at the video below to see how to use Brush Ninja, an animated GIF creator. It is so much FUN to play with. This is also a great article by Richard Byrne on ideas of how you can use this tool for presentations. Amy Schleinkofer, 5th grade teacher, used it this week and had students post their GIFs to a Padlet. Check out some of the amazing examples of the water cycle by clicking here…Ally’s is pretty AMAZING! Google JamBoard is both an actual board and also a Google App located in the waffle, just like Docs or Slides. It’s intended to be used on Google interactive boards (Jamboards), but can be used by any Google user. This really cool app works best on a tablet, or the app version in the Google Play store, but also has a web-based version. Think Smart Notebook Software (kind of) but in the Drive! On the app version, you can Drive content, images, links, and also write on the blank canvas. As you write, the jam appears to anyone you share it with in live time. Just think – you can walk around the classroom with a tablet and whatever your write appears on your mainboard and also student screens. Pretty cool right? The possibilities for this tool are endless! Take a look at the video below for a brief overview. 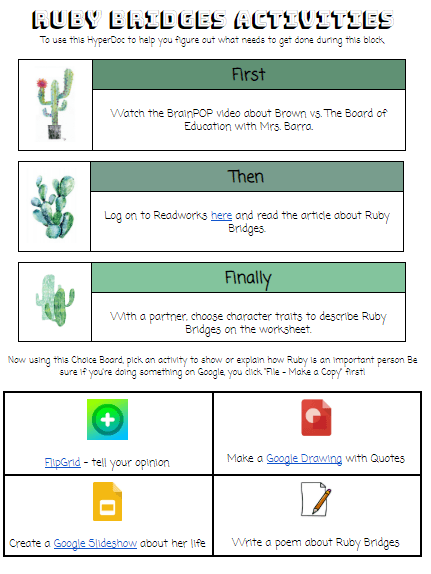 Click here to try Google Jamboard! As I learn more about this tool, I grow to love it even more. Wakelet, as I mentioned last week is a curation tool. You can add various types of content and keep it in one organized place, called a Wake. Recently, Wakelet paired up with both Flipgrid and Screencastify to offer integrations with both of these great tools! Take a look here at this article on Screencastify + Wakelet. Below, I included a brief video which mentions the Flipgrid integration. Simply post the family link in your Wake, and BOOM your videos appear! You can then add additional content with your Flipgrid videos, like Slidedecks, links, text, and video! Shout outs to some awesome teachers this week!! Check out the Choice Boards below created by Amy Ronayne, Jamie Hulke, Stacy Linnehan and Beth Barra (in that order). These boards provide engagement for students as they choose how they want to approach a concept. The end product allows for creativity and a bit of student personality as well. These teachers are always willing to share, be sure to reach out to them and/or follow them on Twitter! They will gladly send you a copy of the board to modify for your own needs! 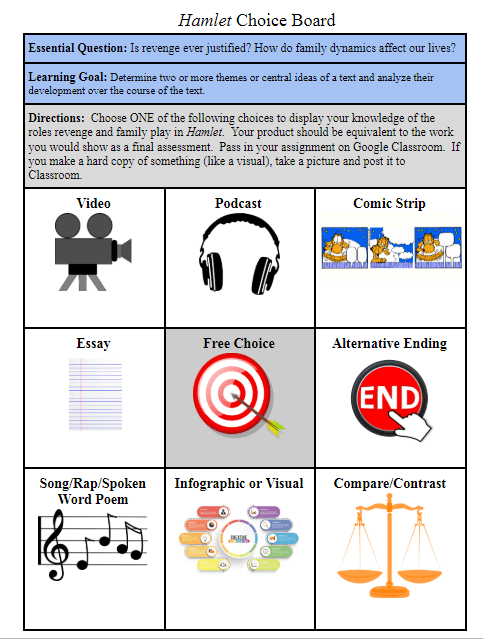 Just to give you an idea of the power of Choice Boards and/or Learning Menus, take a look at this tweet from Stacy Linnehan regarding her choice board she tried. Check out how many views it received. WHOA! This board was originally inspired by another teacher she saw on Twitter. Sharing is caring and together we are better! So, if you haven’t already noticed Google Classroom had another huge update this week! It looks quite different and a few new features have been added like drag and drop in the classwork page and assigning form quizzes directly from Classroom. Take a look at the article from Google here. Don’t forget, if you’re looking to discuss great things you’ve tried, or you’re looking for new ideas, join our Twitter Chat THIS TUESDAY! It is going to be an AMAZING chat that will leave you feeling excited! I will release the questions ahead, so look for them THIS weekend! Haven’t done a Twitter Chat before, but want too? Reach out and I will gladly walk you through it! They are super easy and SO MUCH FUN! I hope you’re finding this time of year as ENGAGING as I am! If not, reach out and let me help you feel engaged!